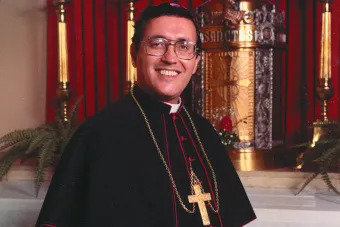 Sacramento, Calif., Jul 12, 2017 / 06:07 am (CNA).- It’s been nearly 26 years since Auxiliary Bishop Alphonse Gallegos’ funeral at Sacramento’s Blessed Sacrament Cathedral, but his nephew Rey vividly recalls the fellow who came up to him that day with his family. “He told me, ‘Your uncle saved my marriage and my life,’” Rey Gallegos said with a smile, while waiting for a Memorial Mass in his late uncle’s honor to begin last June 24 at Mary Star of the Sea Church in Oxnard. The man who brought God, and God’s healing, to so many in such a short time was celebrated June 24 in a church filled with parishioners, family members and members of the Order of Augustinian Recollects, the religious order in which Alphonse Gallegos was ordained to the priesthood in 1958. Last July 16, Pope Francis declared Bishop Gallegos “Venerable,” an important step on the road to canonization. The life of the man who, in his ministry as priest and bishop, dressed in a 99-cent sombrero and T-shirt to minister at night to gang members, lowriders and at-risk youth in poor areas of Los Angeles and Sacramento, should have a lasting impact on all who proclaim themselves as followers of Christ, Archbishop José H. Gomez said. Following the Mass, Archbishop Gomez blessed a statue of Bishop Gallegos, created by Sacramento sculptor Jesus Romo and located in the garden of St. Augustine Priory adjacent to Mary Star Church, where the bishop often went on retreats during his priestly ministry. Born in New Mexico, Alphonse Gallegos moved with his family to Los Angeles and attended San Miguel Church in Watts, where he built an altar in their house, prayed the rosary daily and dreamed of becoming a priest. He entered at Augustinian Recollect Monastery in Kansas City in 1950 and, despite severe myopia, persevered in his studies until he was ordained in 1958. He did the same when he became pastor of Cristo Rey Church near Glendale in 1978, then moved to Sacramento as director of Hispanic Affairs for the California Catholic Conference. In 1981, he was named auxiliary bishop of Sacramento by Pope John Paul II, and served the diocese until his death in an auto accident on Oct. 6, 1991. His funeral procession included hundreds of lowriders. His episcopal motto, “Love one another,” drew many to him in life and afterward. Reports of people who have said they were healed from illnesses after praying for Bishop Gallegos’ intercession led, in 2005, to a movement to declare him a saint. The cause for his canonization received its biggest boost last July with Pope Francis’ declaration. At the start of the June 24 Mass, Augustinian Recollect Father Samson Silloriquez, postulator of the cause, read a Decree of Heroic Virtues for Bishop Gallegos. Including his nephew Rey, son of the bishop’s older brother Leonard, who was one of many who responded to his uncle’s never-ending love and relentlessly positive attitude. This article was originally published at Angelus News, the publication of the Archdiocese of Los Angeles. Arlington, Va., Mar 25, 2017 / 03:20 pm (CNA).- Years before Pope Francis’ ecology encyclical was published, a Trappist monastery in Virginia went back to its spiritual roots by embracing environmental stewardship. 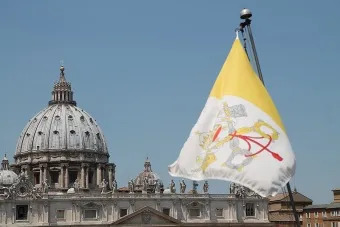 Washington D.C., Jul 26, 2018 / 12:19 am (CNA/EWTN News).- At a religious freedom event in Washington, D.C., this week, the Vatican’s Secretary for Relations with States explained how the Holy See takes a unique approach to diplomacy and the promotion of religious liberty. The July 24 event, entitled “The Fight for International Religious Freedom: Perspectives from the Vatican,” was an offshoot of a larger State Department Ministerial on international religious freedom taking place from July 24 – 25. For bishops, “past failures and present pastoral responsibilities” limit what they can effectively say. 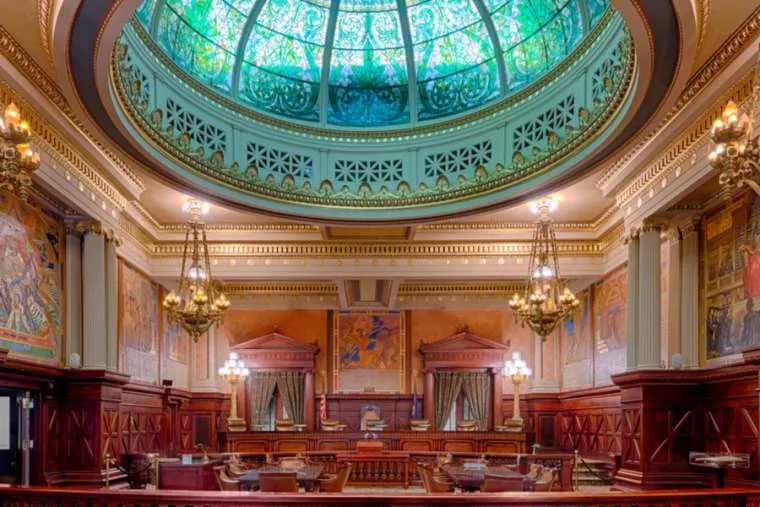 Therefore, “it becomes incumbent on responsible Catholic lay people, perhaps joining hands across the church issues that divide us, to demand better — from the media and from legal authorities,” Steinfels said.